2 Do your group health clients want to receive a refund for being healthy? YES! 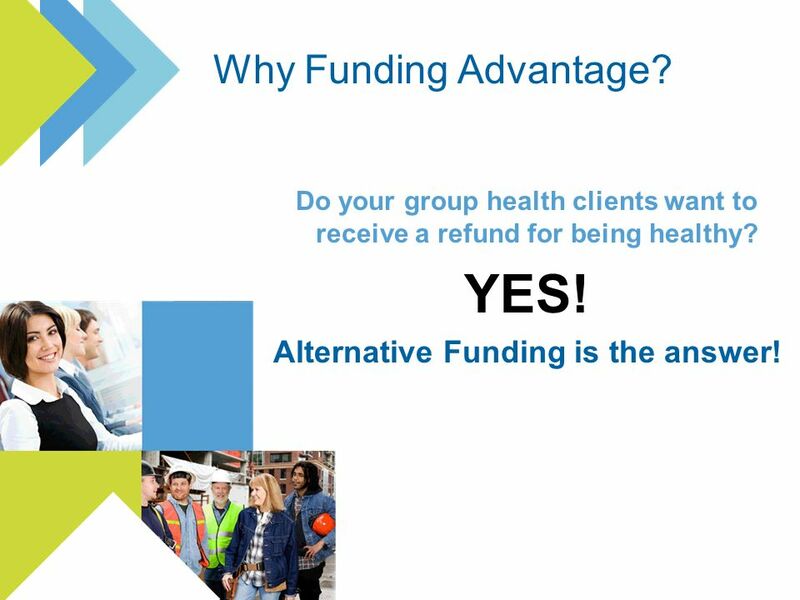 Alternative Funding is the answer! 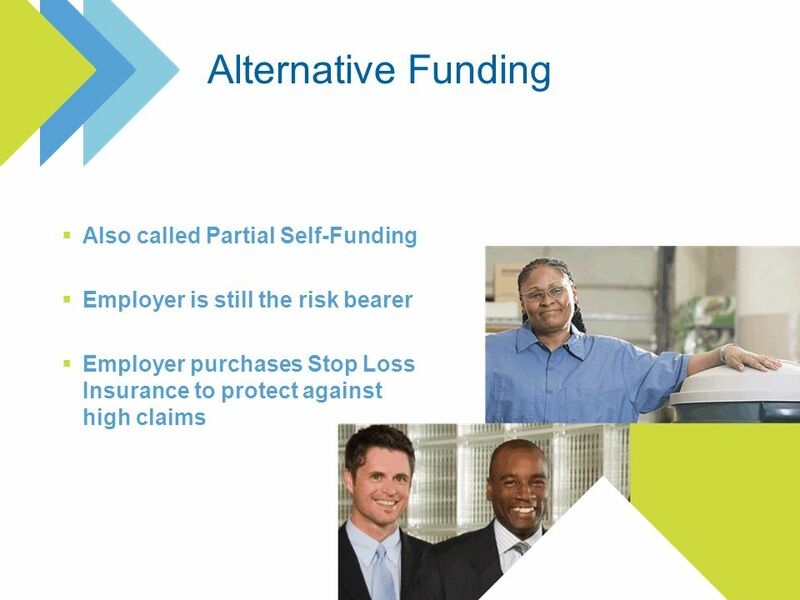 7 An alternative funding plan for groups of 10 to 99 Limits employer risk from self-funding Allows employer to save significant dollars Monthly costs may be less than fully-insured premiums Potential for refunds at end of plan year The only risk is not getting a refund at the end of the year! 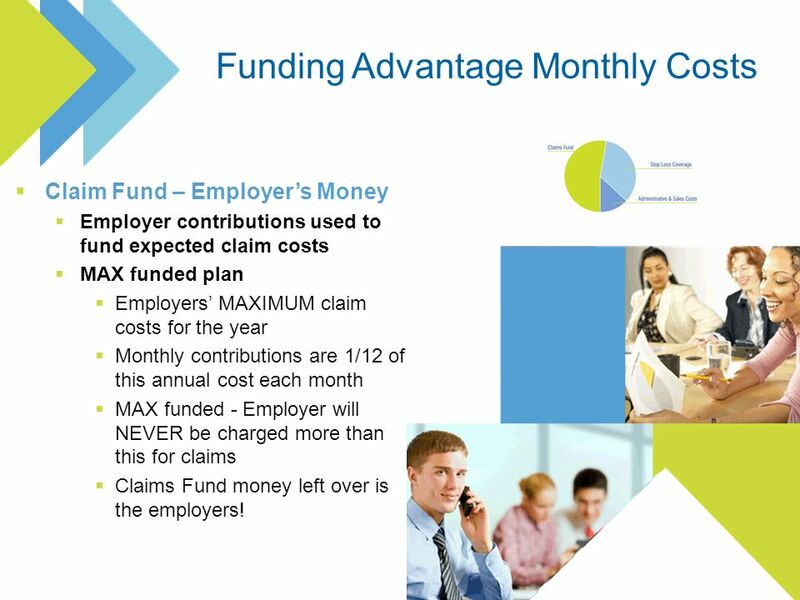 10 Claim Fund – Employers Money Employer contributions used to fund expected claim costs MAX funded plan Employers MAXIMUM claim costs for the year Monthly contributions are 1/12 of this annual cost each month MAX funded - Employer will NEVER be charged more than this for claims Claims Fund money left over is the employers! 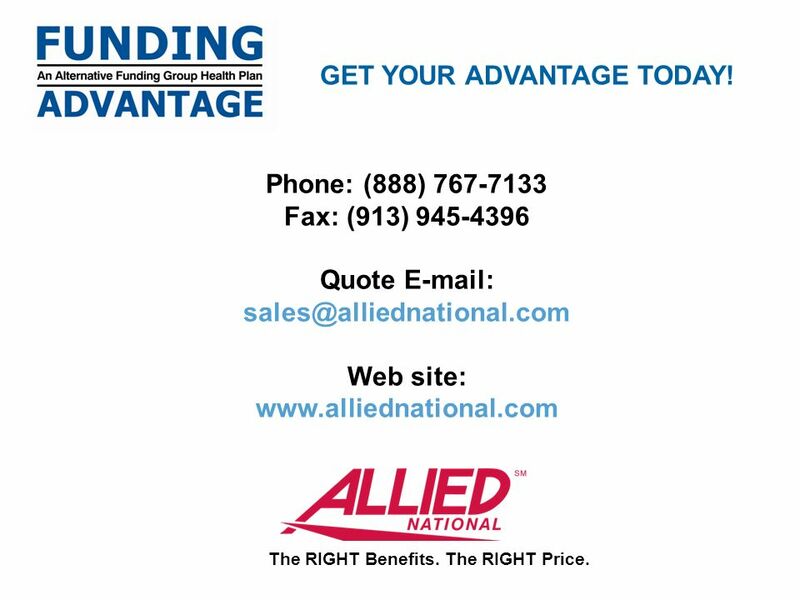 15 Phone: (888) 767-7133 Fax: (913) 945-4396 Quote E-mail: sales@alliednational.com Web site: www.alliednational.com The RIGHT Benefits. The RIGHT Price. GET YOUR ADVANTAGE TODAY! 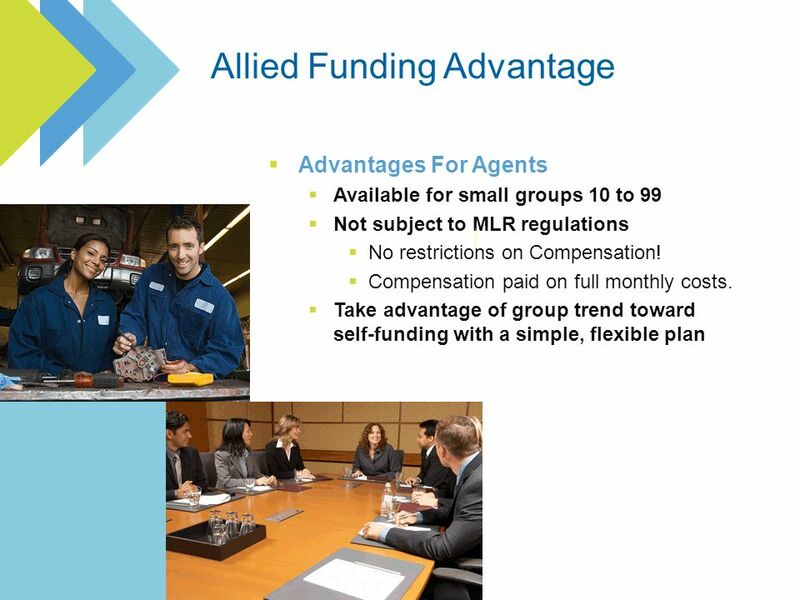 Download ppt "Allied Funding Advantage How Alternative Funding Works." Presented by Jaeger & Flynn Assoc., Inc.
How to Save on Your Health Insurance. How Did We Get Here? 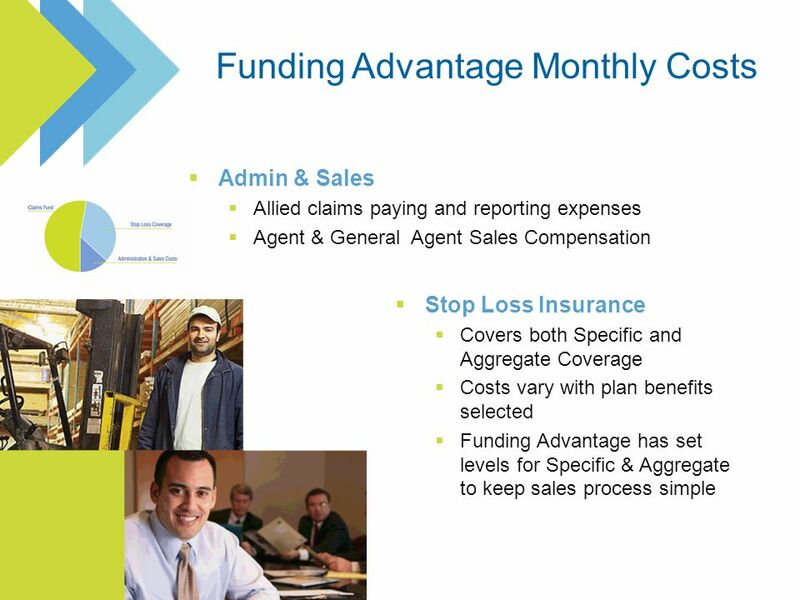 Allied Cost Saver Webinar Allied Cost Saver Webinar Presented by Randy Wehner, Sales Manager Allied National, Inc. Welcome to the. Health Reimbursement Arrangements (HRAs) Presented by: Cafro Agency, LLC David L. Cafro, CIC (860) 779-DAVE. 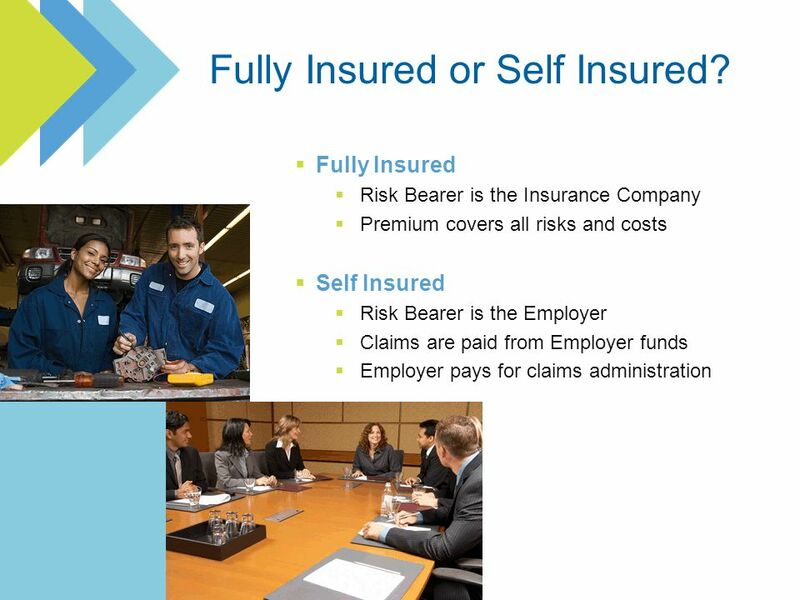 Insurance coverage underwritten by UniCare Life & Health Insurance Company. Registered Mark and SM Service Mark of WellPoint, Inc WellPoint, Inc.
Attract | Reward | Prosper Traditional Plan (Fully Insured/Retention) = MOST COSTLY way to fund your health, drugs & dental benefits = LEAST COSTLY way. Midland Memorial Hospital 2014 Employee Health Benefits. 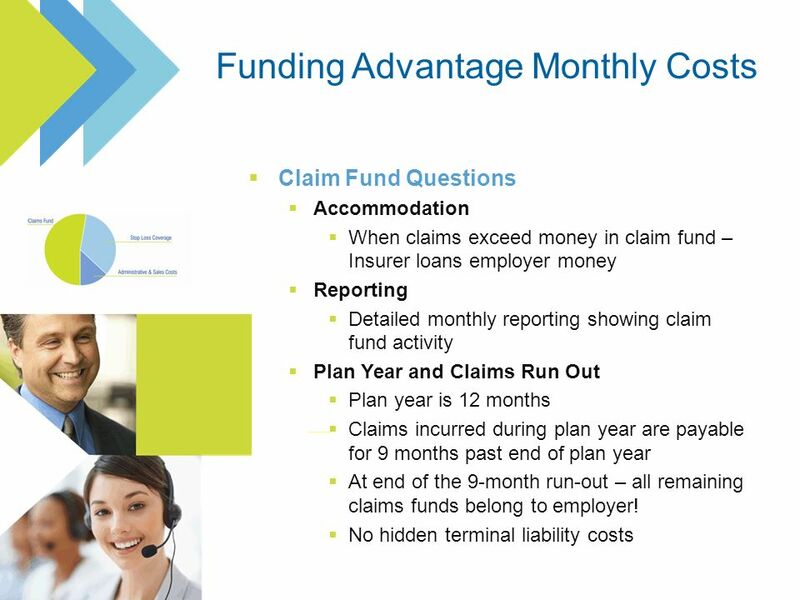 Self-Funded Plans Presented by Insurance4Dallas. What Laws are Subject to Self-Funded Plans? Self-Funded plans, unlike traditional health Plans, are not. HSA This is how you do it. 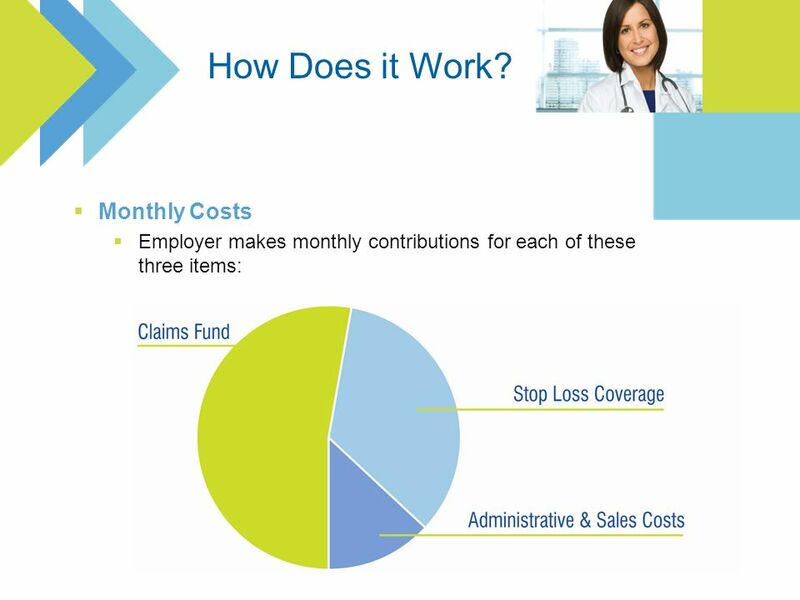 You can Save 10-50% per month, per employee and still have the same or better coverage… Health Insurance Costs Too High? Health. 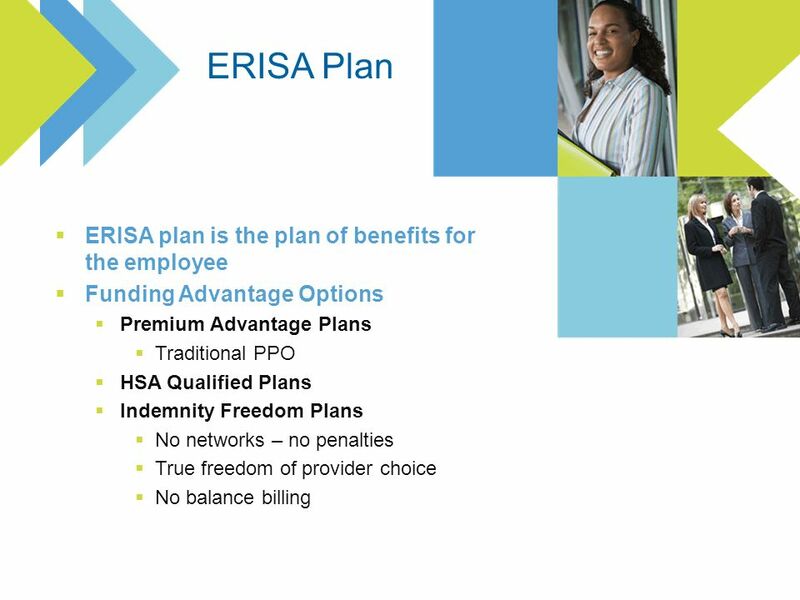 Health Savings Accounts (HSAs) This presentation will probably involve audience discussion, which will create action items. Use PowerPoint to keep track. Center School District Qualified High Deductible Health Plan (QHDHP) with HSA Effective July 1, 2009. Glastonbury Public Schools May 6, 2013 Presenter: Josh Steffenson All sample values and calculations are according to GEA negotiated benefits. Dollar amounts. Copyright © 2013 Finity, Inc. All Rights Reserved ConnectiCare HSA Solution Presentation The health of your business is at the heart of everything. HSA This is how you do it. You can Save $100 – $700 per month, per employee and still have the same or better coverage… Health Insurance Costs Too High? 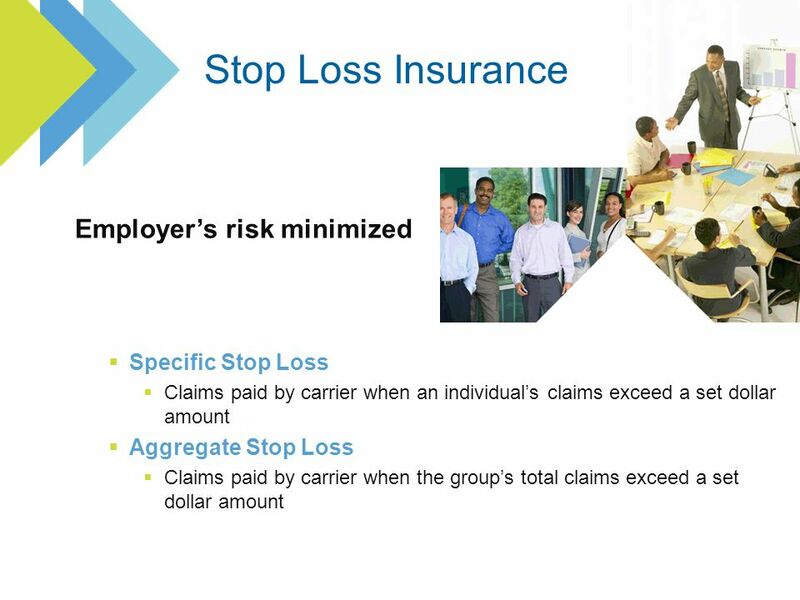 Targeting 5 to 100 life groups Starmark’s Self-Funded products provide administration and stop-loss protection for small and mid-size businesses self-funded. 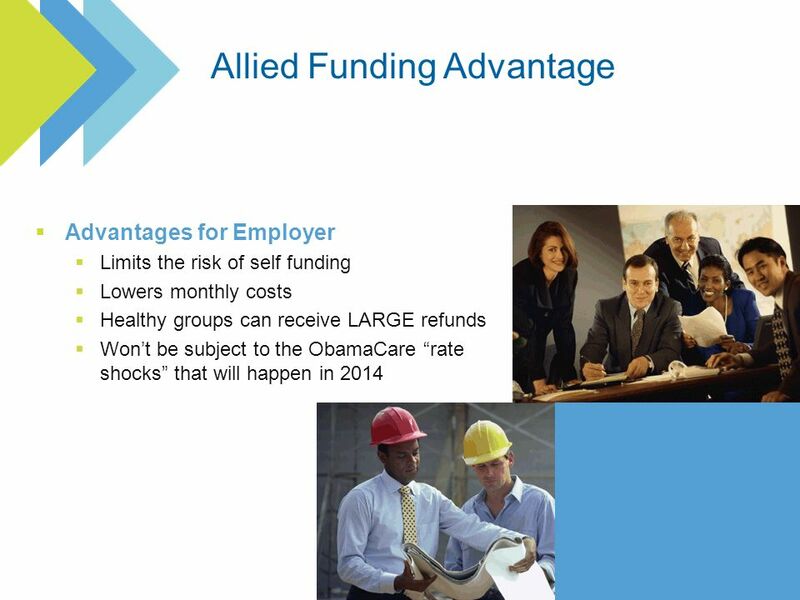 11106s0513 Edition The Employer Basics Affordable Care Act The Basics of Self Funding. 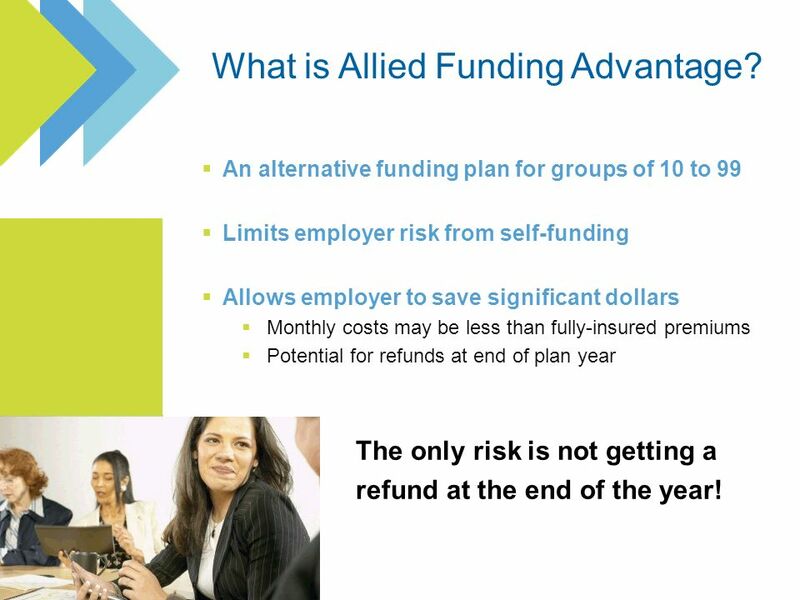 The Basics of Self Funded Health Plans for Small Employers 11084s1212 Edition Brought to you by: Allied National February 2014. CAMPBELL COUNTY EMPLOYEES BENEFIT PLAN Status Update September 2014.